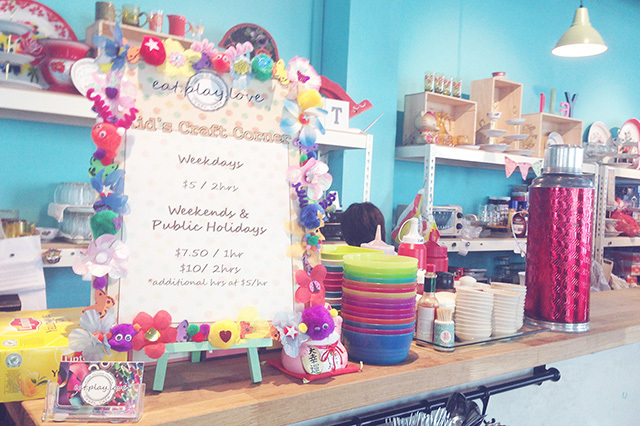 My last day lunch was at EatPlayLove Craft Cafe, a Thai-Western cafe. It was my second time at the cafe. 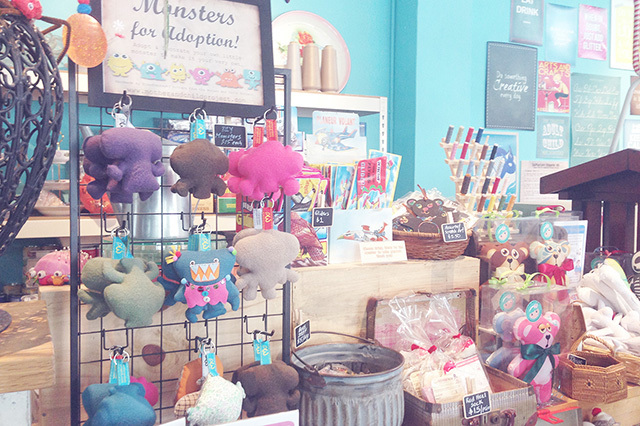 A very interesting place, craft themed. The cafe has a Kids Craft Corner and has a range of easy crafts for purchase for customers to create while having their meals. They have foil art, paper puppets, DIY dolls & monsters, sock monkey kits and range of Shrink plastic for all to create your own masterpieces. 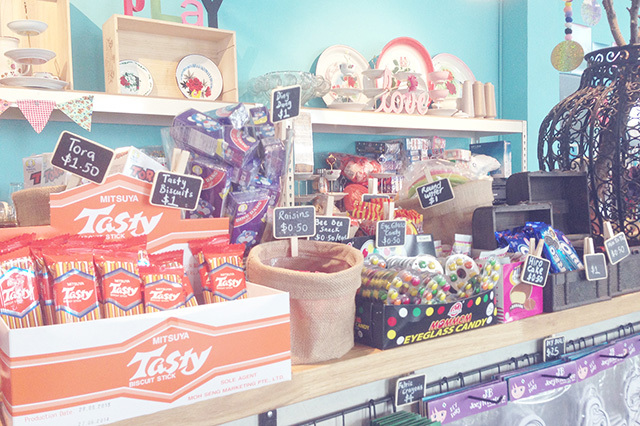 The cafe is very colourful and decorated with crafts, vintage pieces and old-school snacks are on sale. 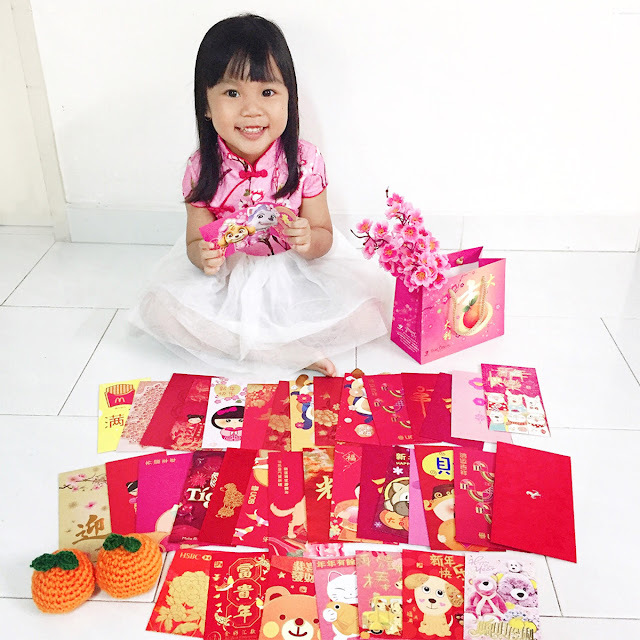 These little things adds up to happy memories of our childhood. We each ordered a set lunch which comes with a drink at $9.90 Nett. Choice of drinks includes coke, sprite, iced lemon tea, hot coffee or tea. 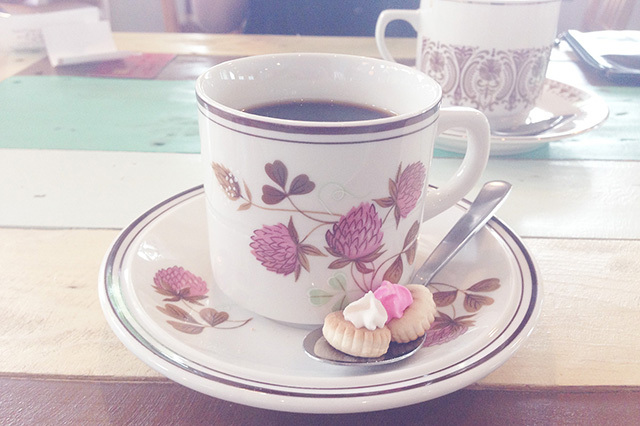 The coffee came in a vintage looking cup, with a touch of childhood complimented with two sugar biscuits that most of us liked while we were young. Colleague's Basil Chicken with Rice. 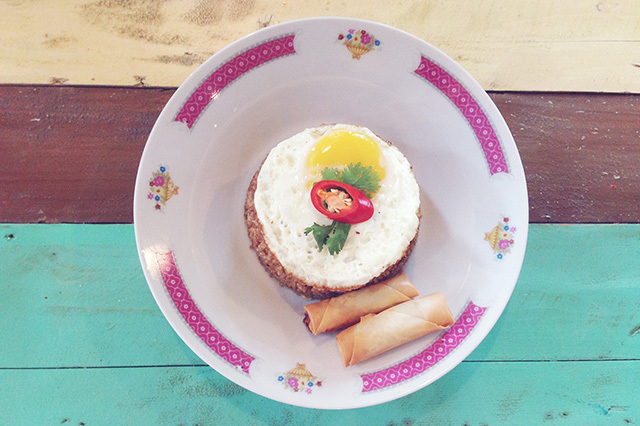 Comes with two fried spring rolls and a fried egg. 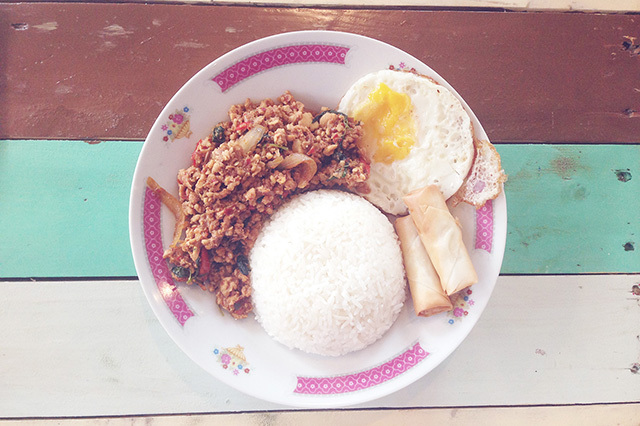 Colleague's Olive Rice with two fried spring rolls and a fried egg. 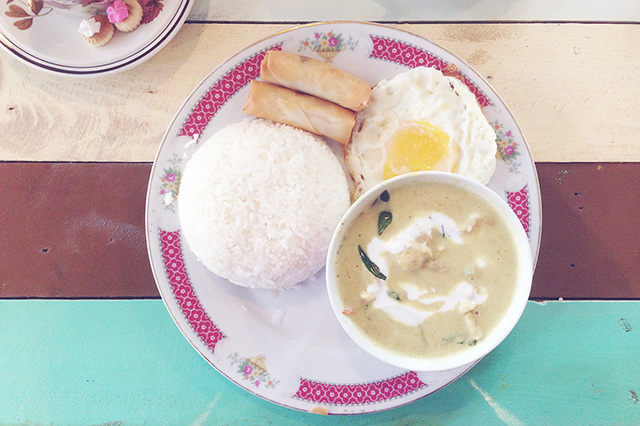 My Green Curry Chicken Rice with two fried spring rolls and a fried egg. The spring rolls are crispy tasty. The Green Curry Chicken is a little too spicy for me, though my colleagues gave me the "are you sure it's THAT spicy" faces when I was fanning myself and sniffing. haha... I do have low tolerance for spicy food. 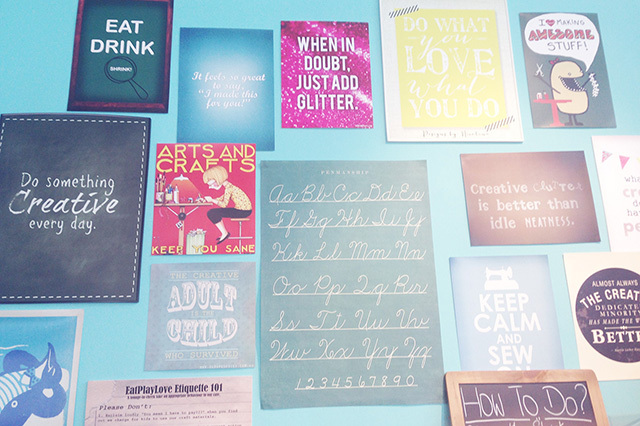 There is a Kids Craft Corner, a corner with craft items for children and adults to play and do crafts. 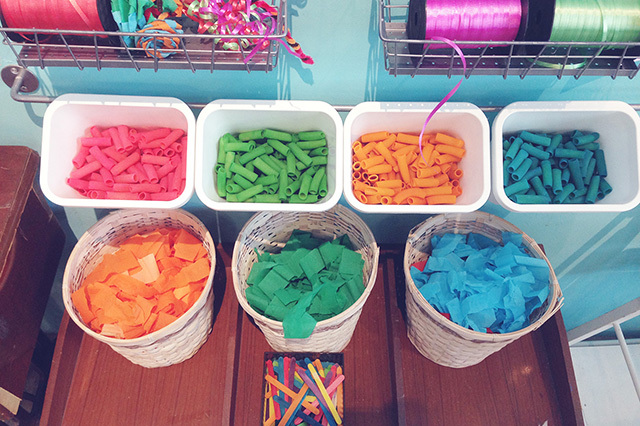 We offer free-flow use of our craft materials at an hourly charge. 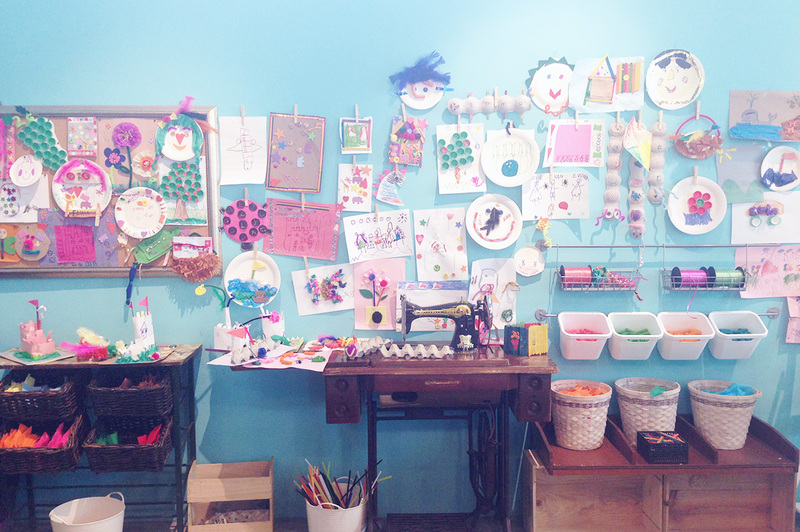 There are 2 craft corners in our cafe, a smaller one that seats 6 children and a larger one that seats 15 to 20 kids. Let your kids experiment and enjoy the free-play concept and be surprised at what their little minds can dream up! Plan a day with your childhood friends or a party for your child at this child-like place. A happy place. 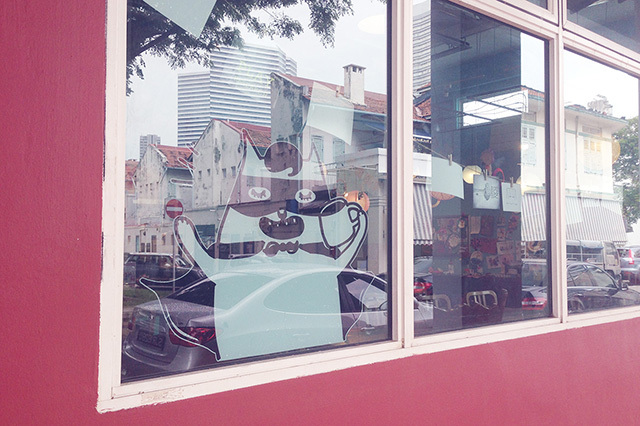 the cat sticker looks like tiramisu hero's cat.. hehe..